9 High Street Fashion Items EVERY Blogger Is Crushing On! 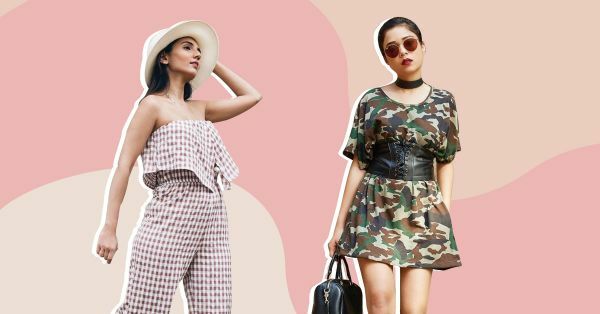 Every year, there’s that one fashion item from our favourite high street brands worn by literally all our favourite bloggers! The style goes so viral that it makes a place for itself even in the most famous celebrity closets. Here is a roundup of 9 high street fashion items that have been a rage on Instagram this season! A subtle, pastel top with a shoulder detail can add so much personality to your look. Team it with a simple pair of shorts just like Ashna Shroff from The Snob Journal and see how your look goes from drab to fab in seconds! This powder blue top from The Label Life is one you should add to your closet right away. A printed top is a must-have in every girl’s wardrobe! Especially one that comes in a quirky print and has SO much colour. Style it just like Nilu Yuleena Thapa from Big Hair Loud Mouth with a statement bag and a pair of sneakers to keep your look relaxed and cool! Gingham checks is a must-have trend this season, especially in fun,flirty silhouettes like this one! And what’s better way than a jumpsuit to include it in your wardrobe? You can dress it up with a pair of heels and a clutch for the night and dress it down with slides for the day! Wear it just like Masoom Minawala, also known more popularly as Miss Style Fiesta for a Sunday brunch with your girlies! Bell sleeves are all the rage this season and fashion blogger and designer Juhi Godambe works them well with sneakers to create a sporty chic look. What are you waiting for?! Go ahead and shop this now! This summer, investing in an off-shoulder dress is a must! And blogger Aien Jamir totally approves of that! Get one in a playful print so you can wear it for a day out with your friends. Team it up with heels if you’re headed for a coffee date! Dramatic tops are the new cool. So ditch that basic t-shirt and go for a top that makes a statement. 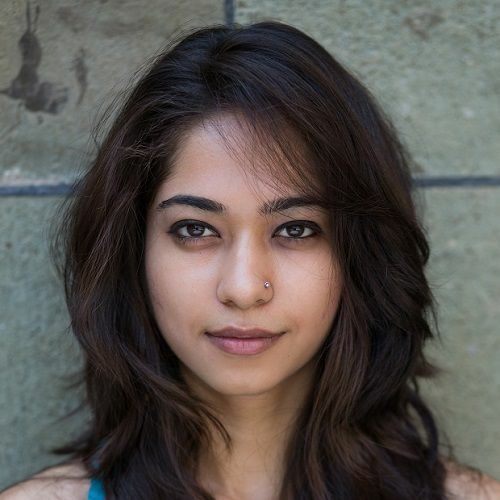 Like this green knotted top worn by Kavya D’souza from Streak Hue Fall? We LOVE it! If you love all things fashion, you must know by now that mesh has made a huge comeback this season! You can wear this off-shoulder mesh top with a bralette and jeans to turn up the heat, just like fashion blogger Aakriti who can work the trend like an ‘IT’ girl! A shirt dress will never fail to make you look good. Especially, if it’s accompanied by gorgeous floral embroidery. After all, it’s all in the details, right? So take style notes from Shaurya Sanadhya and invest in this beauty! Camo print will forever have our heart! If you thought you couldn’t wear it and look a class apart, think again. This camo print dress worn by Riya Jain from Caught In A Cuff is ALL the glamour you need this summer!